Based on the glowing review by America’s Test Kitchen, I already had my heart set on Chef’s Choice WafflePro Express. It was everything they promised. The buzzer and ready lights accurately told me when the waffle maker reaches the desired temperature and when my waffle is ready. The colour setting gave me waffles ranging from fair to tanned. I taste tested waffles made using crispy exterior & soft interior setting versus the uniform texture. As a novice, I could not believe the excellent quality of the waffles I made. 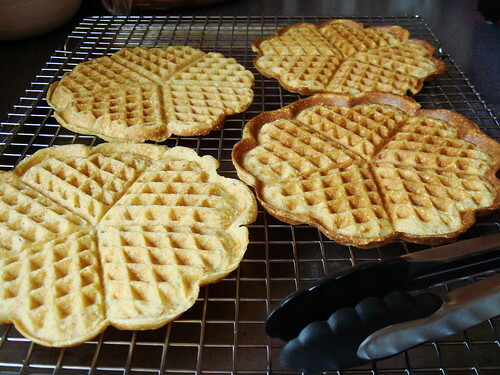 I christened the latest addition to my kitchen with a batch of Crispy Cornmeal Waffles from King Arthur Flour. Half of the recipe yielded five waffles. I am embarrassed to admit that I immediately stuffed my face with two. No toppings. No syrup. No butter. 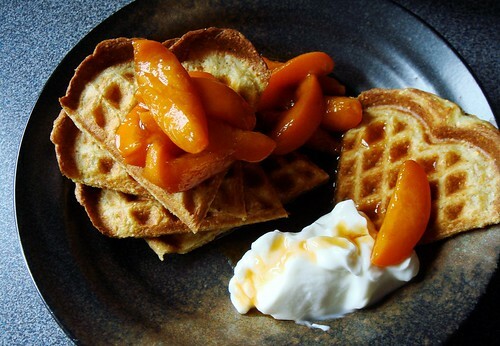 Fresh waffle is good enough to be devoured all on its own. Once I regained my composure, the fun truly began. 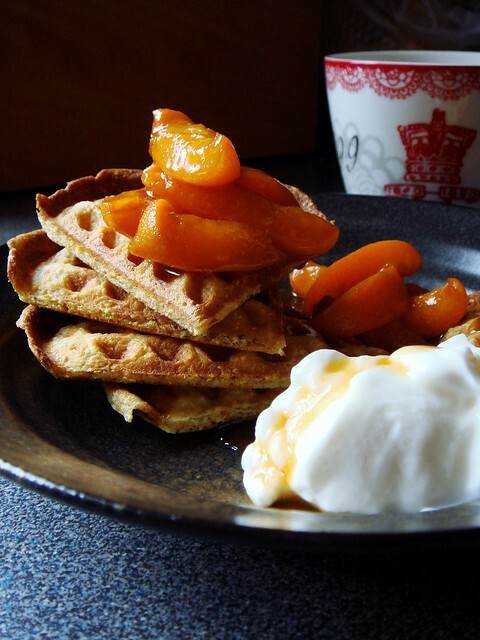 I made a stovetop bourbon brown sugar apricot compote and drowned one waffle with it. The dollop of Greek yogurt added a nice balance of creaminess to the brunch but it was really all about the tangy sweet syrup. Making fruit compote is a quick and easy alternative to bottles of syrup. I simply cut fruit into bite size pieces and toss them with sugar. Once the sugar draws out some moisture from the fruit, I gently cook it over medium heat until soft. If I’m feeling decadent, I would splash a glug of alcohol into the pan and let it sizzle a bit. Of course waffle is not limited to mornings. I happen to have a package of onion braised beef brisket in the freezer. 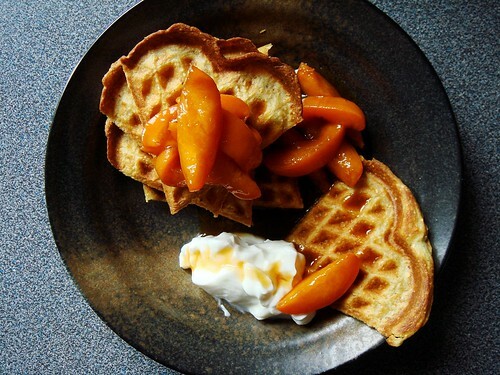 Cornmeal waffles with brisket sounds like my kind of dinner!